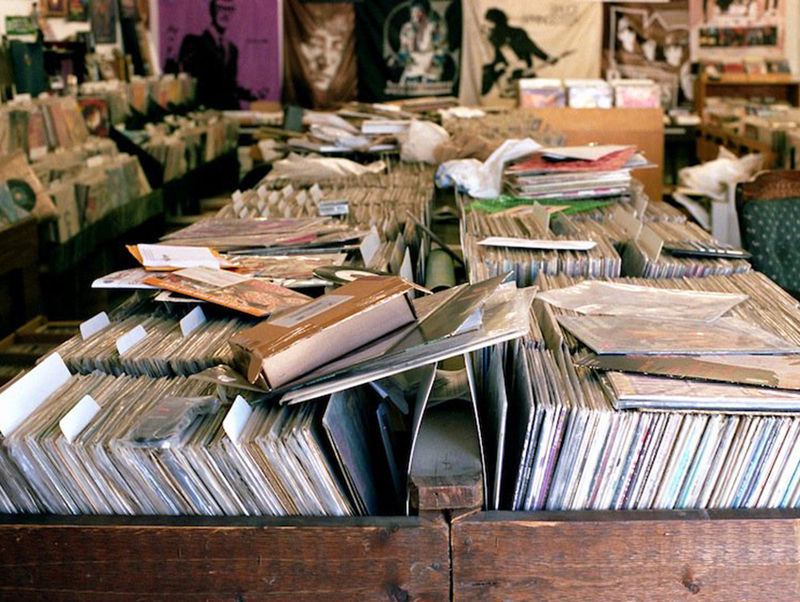 The 21st century has been a potentially ominous one for record stores. First Napster, then iPods, and now streaming services have put brick-and-mortar stores—with their tangible wares that cost actual money—in danger of extinction. But over the years, independent record retailers have found a way to survive and even thrive by providing a cultural hub for patrons. 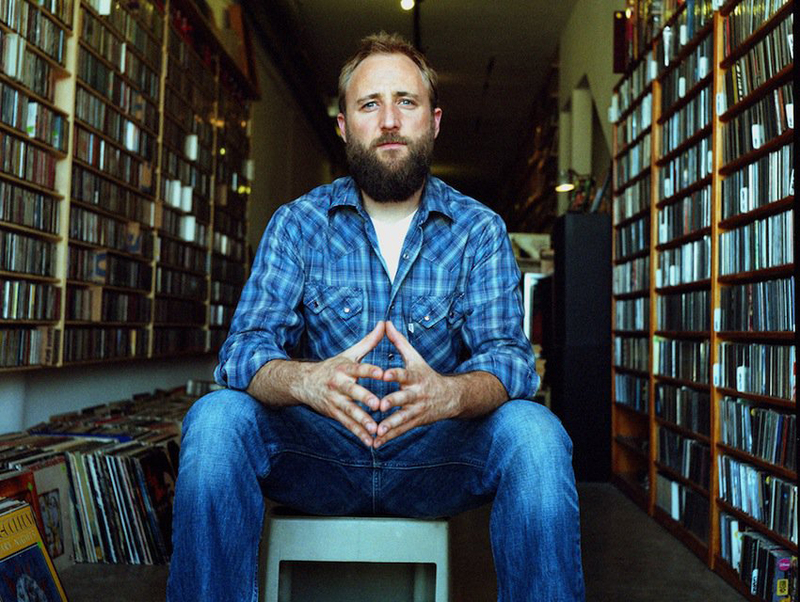 Now in its ninth year, Record Store Day brings collectors, music fans, artists, indie labels, store owners, and people who are “just browsing” together to celebrate exclusive vinyl and CD releases as well as the spirit of local business. According to the official Web site, there are more than 1,400 participating locations throughout the U.S., and thousands more on every continent besides Antarctica, where you can ask an actual human for a recommendation on what to listen to next if you really dig the latest Savages album or Syd Tha Kyd production (also, get with it, Antarctica). 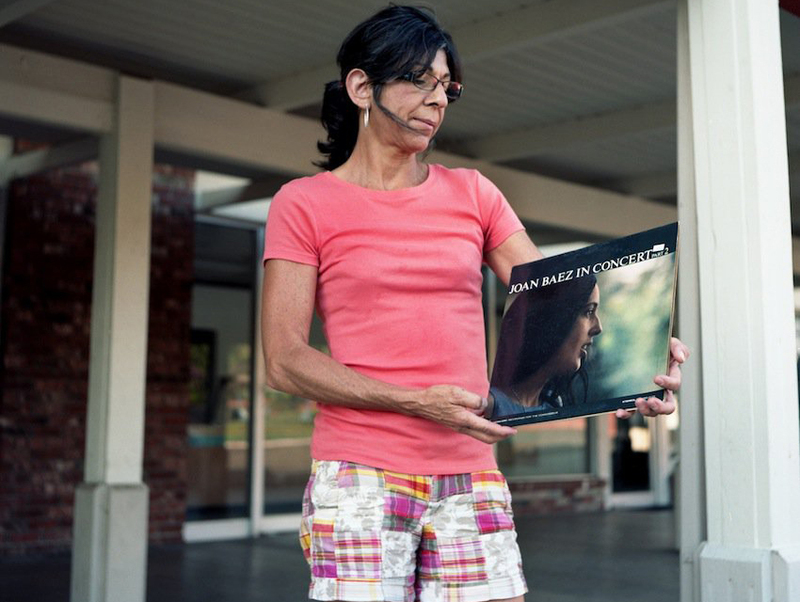 In their aptly named The Record Store Book, published last year, author Rebecca Villaneda and photographer Mike Spitz captured stories of independent record stores across Los Angeles. The stunning photography gives readers a glimpse into more than 50 retailers while Villaneda introduces us to the employees, owners, and customers that keep the shops alive. 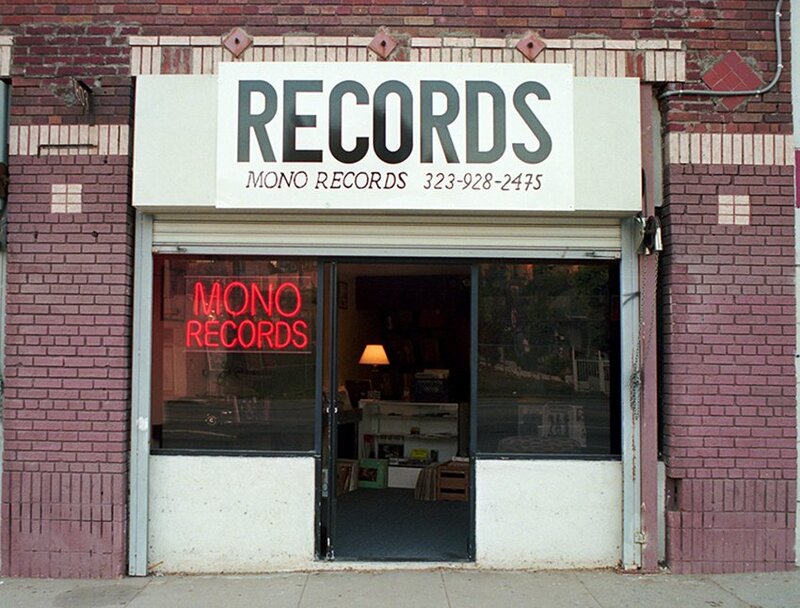 This is my favorite record storefront in L.A. because of the brick wall and the rundown look of the facade. It looks like a store you would find in the Midwest. I was born and raised in Cincinnati and later I lived in Chicago. So this storefront is reminiscent of my roots. [Canterbury’s] is a family-owned store established in 1956. What I find interesting in this photo is the juxtaposition of an attractive, young hipster woman, with her tattoos and bleached blond hair, looking a little out of place. Yet she belongs. Against the background of the oldest surviving record store, this photos sums up the theme of the book: that record stores are not dead or just for middle-aged, white geeky men. They are for all the generations, especially the youth who are breathing new life into them. Murray Gershenz was the oldest store owner. 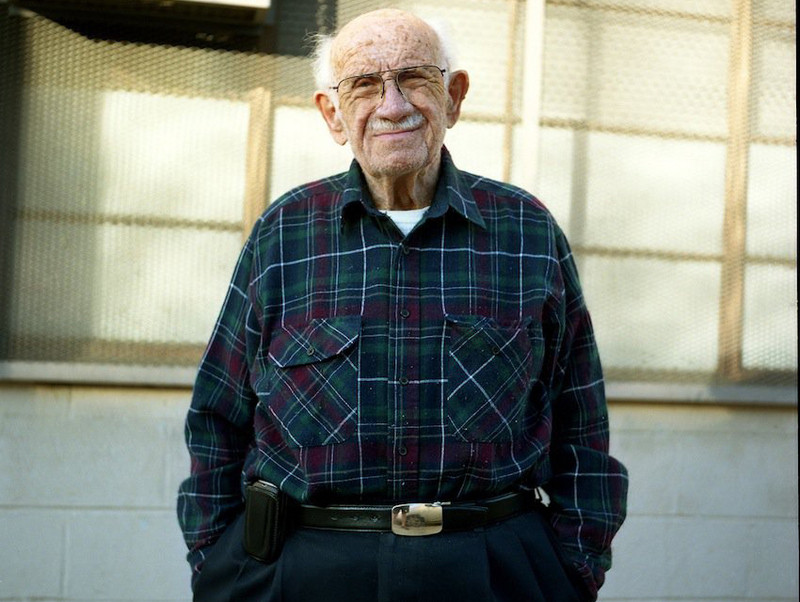 He was in his early 90s when he died, about a year after I took photos of him and his store. He was a legend, and he showed me letters written to him from Louis Armstrong, who relied heavily on him to find records and specific kinds of music that he was researching. Murray had relationships with many famous musicians and celebrities. There were two stores in Riverside, but Groovers retained more of a sense of nostalgia. It was the essence of a mom-and-pop store. Owners Tom and Elizabeth Allen are an older couple who opened it as a labor of love, and the day I went there, only Elizabeth was there, so I wanted to get her portrait because there are very few female record-store owners. I took photos at Jacknife Records on two occasions, a year apart from each other. The original store was down the street in Atwater, about a block away from the current store. It went from a very boutique and sparse-looking store to one that looks more cluttered, with cassette tapes lining the walls, and old boom boxes and vintage audio equipment. Over time, the owner Trevor and I have gotten to be friends and I have become a regular customer. It was the only store that really promotes and takes pride in its large collection of cassette tapes as much as its LPs. This store has a B-movie theme: science fiction, evil doctors, poisons, and medical experiments. The owner is a great guy. 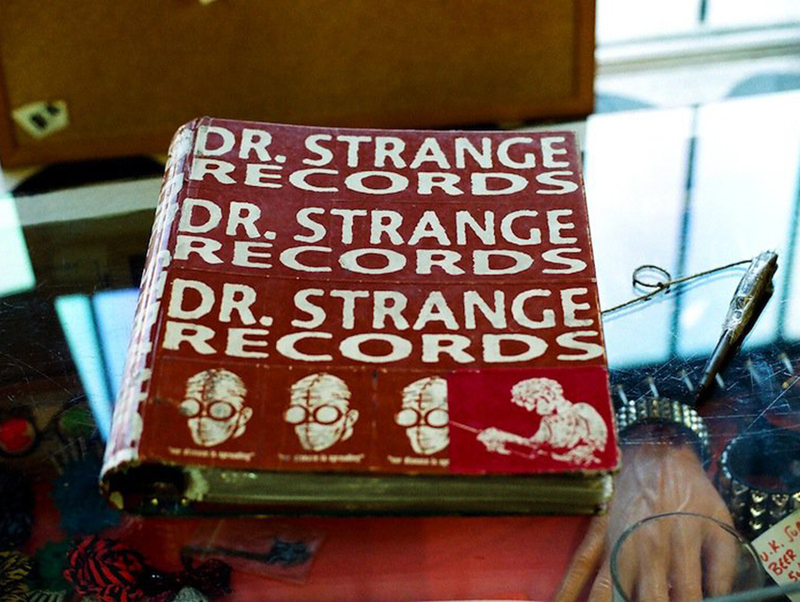 He even calls himself Bill Strange. American Pie records is located in a storage unit in Ventura. It’s hard to find, and not anywhere near a main street. The owner is a Vietnam vet with a very strong personality. I wanted to show the accumulation, the clutter, the years of build-up, but not in a negative way. There are only three record stores in the greater L.A. area with black owners. 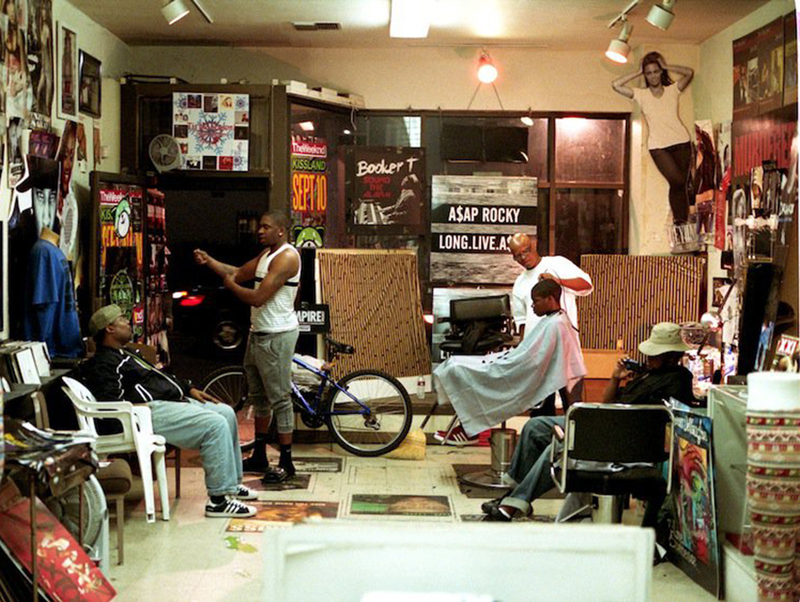 Midnight records also has a barbershop chair at the front, and this image captures them cutting a kid’s hair, while customers are just hanging out and talking to the owner. It was important to show how this store also provides a social gathering place, a sense of community. When you stand in the entrance to the store with windows on both sides and look down, you see tile in the ground for “Karl’s.” Poobah Records was the home of Karl’s Shoes, which was an old Pasadena shoe store. The entrance’s terrazzo threshold dates from either 1948 or 1949, and Karl’s Shoes occupied the spot until the late 1950s. The store I took photos of was the last standing storefront of this franchise. They used to have five or more stores throughout Southern California. This store is an example of a fall from greatness. 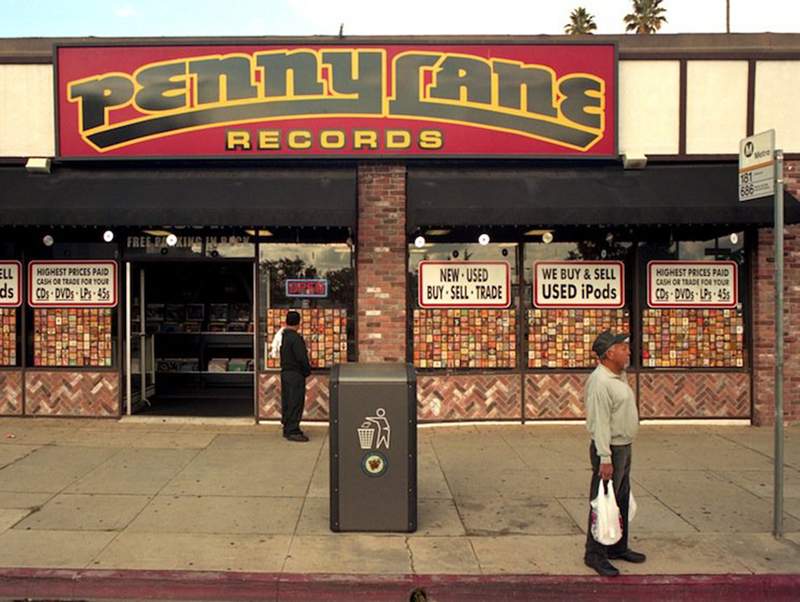 They fell on hard times after getting squeezed out by CDs, downloadable music, and big-box stores. Several months later, I was driving by and I was going to stop in and buy some records, but it was vacant. Gutted. Located in Long Beach, Dyzzy on Vynyl is not a store many people know about, but inside it’s like a record store museum. 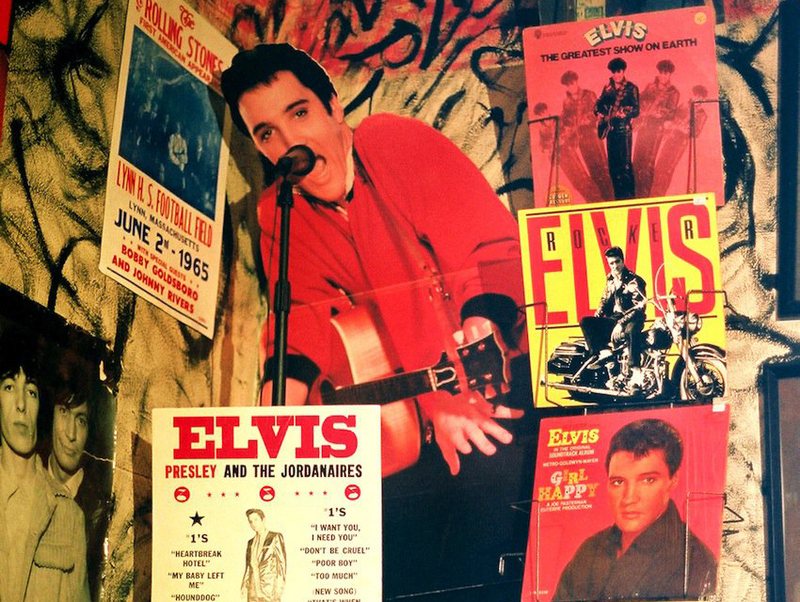 The walls are painted and decorated with old records, cut outs, and memorabilia. The space itself becomes a work of art, and not just a room to sell records and move product like Tower and Virgin and other big box stores became. 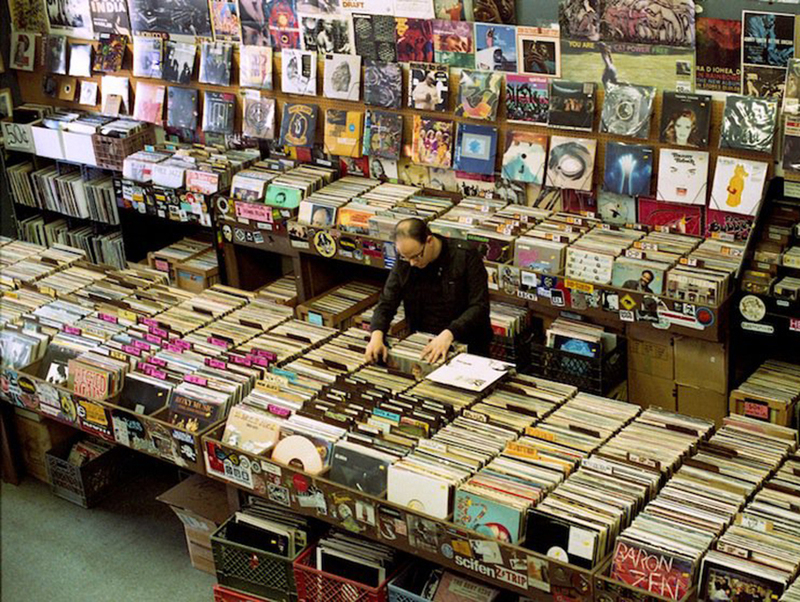 You can go there and just look at the walls, and appreciate what’s there before even looking for records. Previous articleObscura Day Is an Excuse to Tour the Weirdest, Most Fascinating Corners of L.A.